How to Backup and Restore to Office 365? The smart users in today’s technical world are leaning more towards export/import data to the desired destination. Office 365 is one such a popular cloud application that the users keen to migrate the data from and to Outlook or other applications. Both import/export to Office are crucial and desirable tasks for working users. But the question is what is the need to import/export to Office 365. The users may have different reasons for the Office 365 import/export. Let us understand some of them for both. Anytime Accessibility: Being a cloud application, the data related to Office 365 is available only with internet connection. Exporting Office 365 data to Outlook PST facilitates users to access the desired data anytime without looking for any internet connection. For Archiving: When the user’s mailboxes data needs to be shared or archived, it is needed to export Office data to some location where it can be accessed. Deprovisioning Office 365 users: When any employee resigns, his account needs to be moved and saved offline for any future analysis. At that time, Office 365 export is required. Offline accessibility for special purposes: The Office 365 mails may be needed offline for forensic analysis, for regulatory needs or for continuity during breakdowns. Migrate On-premises data: Importing Outlook PST file to Office opens a way to migrate Exchange On-premises data to Office 365. Security: Office 365 environment is safer than any other application for storing the data. To secure data, the users move to import PST to Office. 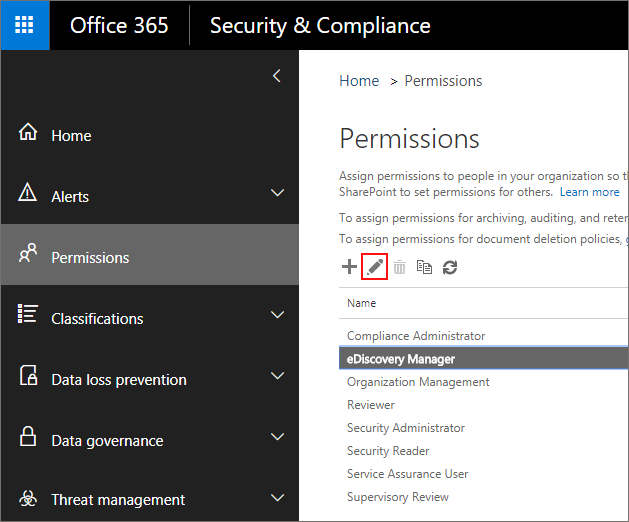 Imposing retention policies: Office 365 allows to impose retention policies and document deletion policies that removes data after a predefined time. Thus, the need for export and import is discussed. Now, the focus is on how to perform the processes. In general, there are two ways to perform the import/export to Office 365 migration. The users are mostly inclined to manual ways to import or export as these ways are absolutely free of cost. So, first look at the manual solutions for the import/export. There are basically two manual methods to backup Office 365 to Outlook PST file. Note: In-built eDiscovery option in Office 365 is supported in all Exchange online plans including Exchange 2013, Exchange 2016 and in selected Office 365 plans. 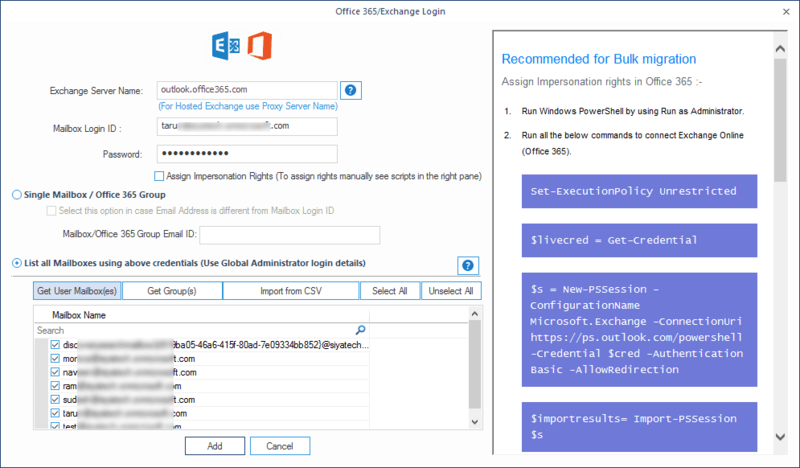 Open your Office 365 with the login credentials. Open Office 365 Admin Center, then select Security & Compliance Center. Now go to Permissions and edit eDiscovery Manager role group. From the following roles assigned – Case Management, Compliance Search, Export, Hold, Preview, Review and RMS Decrypt, check the presence of Export role. If found missing, ensure that you add it using the plus button. Now, go to Search & Investigation option. Click the add (+) button and start a New Content Search wizard. Provide the suitable name and click Next. Select Search everywhere and check mark Exchange to export data from all mailboxes. You can also select specific mailboxes using the Custom location selection option. Also, you can export from Public folders by selecting search all public folders option. In the next step, you can provide filters like time range, email meta data (from, to, cc, bcc) and message types. Click Search and in the next window, click Start export. Choosing the desired options for export, click Start export to start the process. In the Content Search dialogue box, you can download the export results by clicking Download export results. This will generate a export key and copy this to Clipboard. Now in the eDiscovery PST export tool. Paste the export key just copied. Now, provide the Export tool, a folder where you want to save the PST files. Once you click Start, the export starts. Now move on to the next manual procedure to backup Office 365 data to PST file. The pre-requisite for this type of migration is that all the Office 365 mailboxes must be configured with Microsoft Outlook account i.e. Office mailboxes must have full control permissions on mailboxes to be exported. After assigning the permissions, wait for some time till the mailboxes are visible on the Outlook account. Now, perform the following steps to perform the export process. Launch the Outlook application. From File, click Open & Export and then select Import/Export. 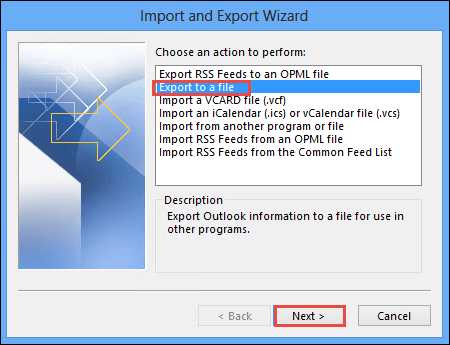 In the Import and Export wizard, select Export to a file and click Next. Now, select Outlook Data File (.pst) in the new opened wizard. Then click Next. In the next step, you are asked to choose the folder items to move. Select the desired items or folder (public folder, mailbox) and click Next. The export begins to start then. 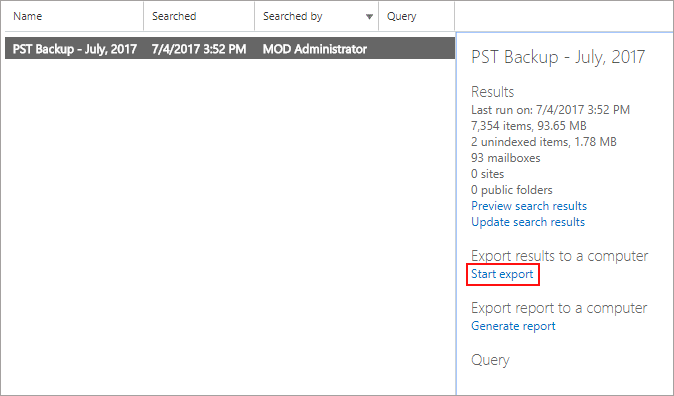 After discussing manual methods, it seems not so tough to export Office 365 data to PST. But hold on, the user should consider the limitations aspect for the manual solutions too. Here are listed some of the limitations for the manual method to export Office 365 to PST file. Before coming to any conclusion, let us have a look on manual ways to import Outlook PST data to Office 365. 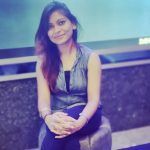 While talking about the manual methods to solve the import solution of PST to Office 365, the users can take advantage of the following method. The Office 365 provides a new feature to import unencrypted PST files to Office cloud environment. 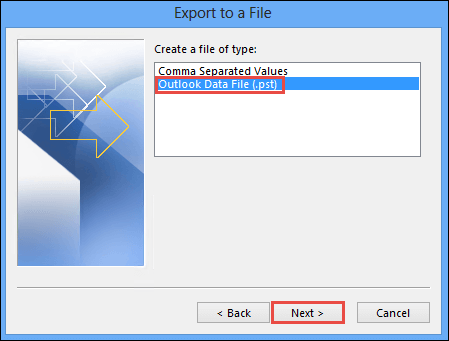 Before executing the manual process, the user must assign the Mailbox Import Export role to the user account. Follow the instructions below to assign the role. 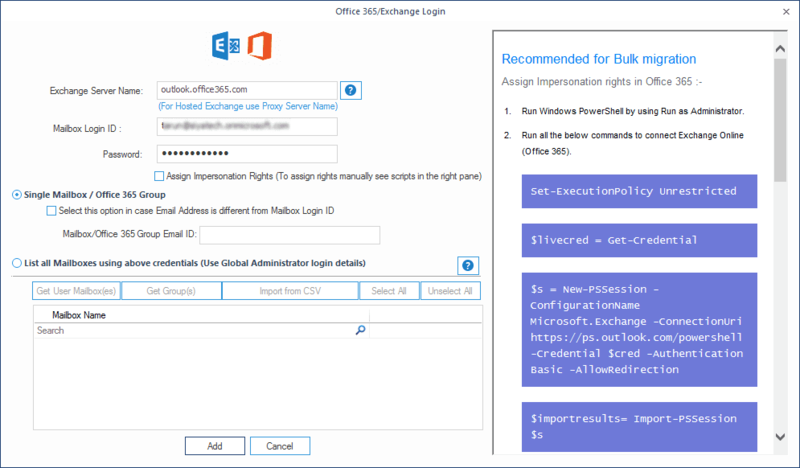 Assign the Mailbox Import and Export role: Open Exchange Admin Center>Click Permissions>Click Admin Roles>Double Click Organization Management>Click + Roles>Select Mailbox Import and Export>Click Add>Click OK>Click Save. You can also create a New role group and then assign your account permissions. Download Azure Copy tool: Sign in the Office 365 with global admin account and perform Select Data Management>Click Import>Click Go to the Import Service>Click Upload Files Over the Network. After this, download the Azure AzCopy tool by clicking on Download Tool. Now, install the Azure Copy tool. In Import Data to Office 365 window, click the key icon and click Copy key. Click Show URL for PST files. Save this key and URL to a secure location. After downloading Azure Copy tool and acquiring the key & URL, open the command prompt as the administrator. Open the directory where Azure copy tool is installed. Run the following command to upload the PST files. Create the CSV file for mapping PST file to Office 365 by clicking on Mapping Template File from Microsoft to download the sample CSV file. Provide the required information and save the PST Mapping file. Now again go to the Upload files over the network page, provide the project name. Click + to Add the Mapping File. Add the mapped CSV file, validate it and finally click Finish. The import will start now. Once completed, close the application. So, we have discussed a manual solution to import PST data to Office 365. The PST can be transferred through this method but still has certain limitations. The manual solutions are free but do not fulfill the complete requirement of the users. 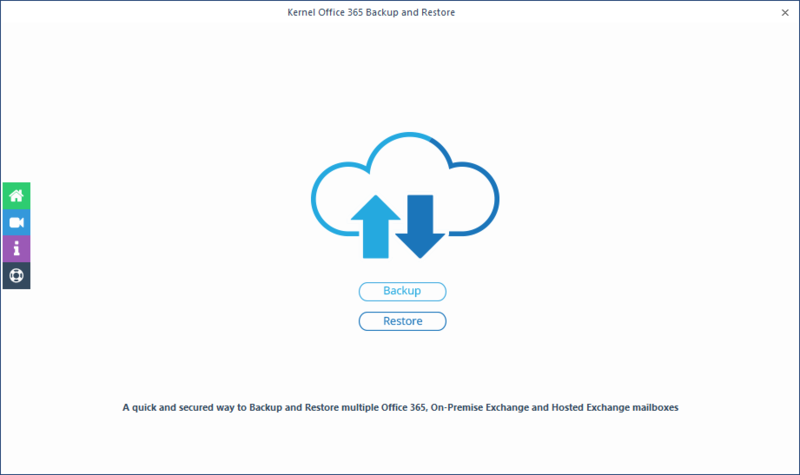 Keeping in mind the drawbacks of manual solutions for both import and export, you can use a professional 2-in-1 Kernel Office 365 Backup and Restore tool. This intelligent software performs both Backup (export Office 365 to PST) and Restore (Import PST to Office 365) for Office 365 at a single platform and within 4-5 steps only. Office 365 Backup Tool has a secure, reliable approach for the both the procedures it executes. You can backup or restore Single mailbox of Office and PST file. You can also create a New role group and then assign your account permissions. Similarly, you can Backup or Restore multiple mailboxes with much less effort. Analyzing the manual solutions makes us understand that these methods definitely has no cost but are completely trustable. These methods perform Backup and Restore but takes much time along with having complexity. For a better and instant solution, the user can go for a third-party professional tool Kernel Office Backup and Restore. The choice is in the hands of the users only. 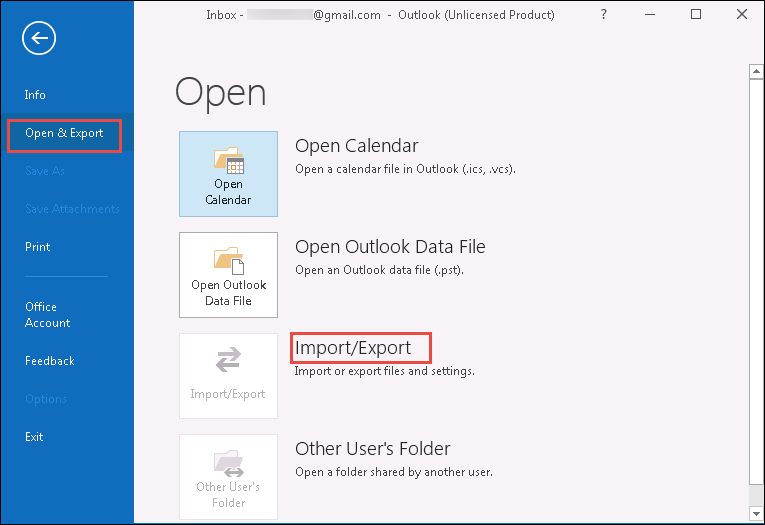 How Does the New-MailboxExportRequest Work in Exchange Server?